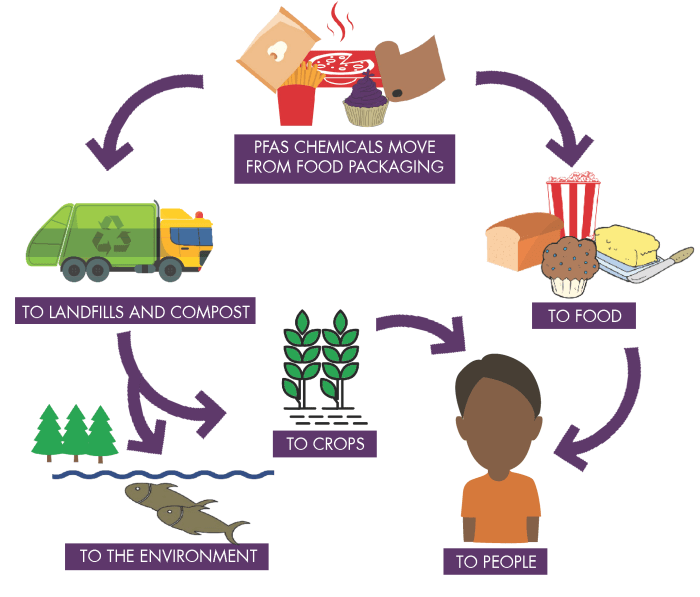 PFAS: What Is It? And Why Should You Care? In Horsham and surrounding towns in eastern Pennsylvania, and at other sites around the United States, the foams once used routinely in firefighting training at military bases contained per-and polyfluoroalkyl substances, or PFAS. NOTE: This story comes from our partners at Michigan Radio’s Environment Report, a program exploring the relationship between the natural world and the everyday lives of people in Michigan. There’s a class of chemicals you may have never heard of that’s been discovered in drinking water and at military and industrial sites across the country. PFAS is a class of thousands of chemicals that repel oil and water and are used in nonstick coatings and in fire-fighting foam. Pennsylvania’s PFAS Action Team, started by Governor Wolf in September, has identified twenty sites with this contamination — more than half are in the southeastern part of the state. What are these chemicals? Where did they come from? Why are we using them? And how dangerous are they? Companies such as DuPont and 3M found that carbon-flourine bond in PFAS [poly and perfluoroalkyl substances] chemicals could be used in things such as food packaging so hamburgers didn’t leave grease stains on the wrapper. They could be used to make stain resistant carpet and furniture. They could be used to make everything from floor waxes to dental floss to rain gear. Chances are other states are contaminated at a level far greater than the public knows. Pennsylvania regulators will start testing select drinking wanter sources for PFAS contamination. Pennsylvania is expanding efforts to make the anti-overdose medication naloxone available to the public with a statewide distribution day next week. Officials said Thursday that naloxone will be provided free to any state resident at 80 locations — most of them state, county and municipal health offices — from 11 a.m. to 7 p.m. on Dec. 13. The 14th annual Handmade Arcade on Saturday will look a lot like the past several ones, as Pittsburgh’s oldest and largest indie craft fair takes over a big chunk of the David L. Lawrence Convention Center for the day. A Uniontown man sued four Pennsylvania state troopers in federal court Thursday, alleging they arrested him on false charges in 2016 to cover up a police shooting in which he was the target. Although Daylon McLee, 29, was not injured in the shooting and was acquitted of the crime, the suit says he was wrongly held in jail for nearly a year. A report released Thursday by the RAND Corporation recommends that the federal government greenlight clinical trials on the effectiveness of medical-grade heroin for treating people with opioid addictions.